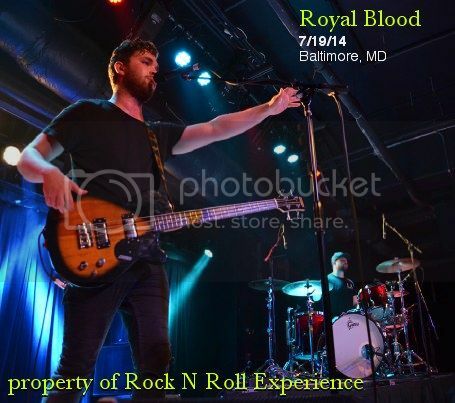 UK based Royal Blood are a 2 man band but you’d never be able to tell that based simply on their sound. 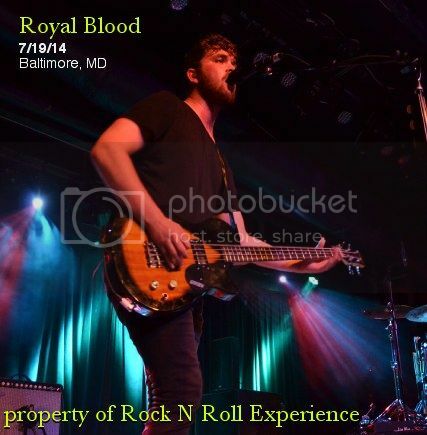 Royal Blood bridge the gap between hard rock, punk, and garage rock with amazing timing, strong break downs and unique lyrical content. 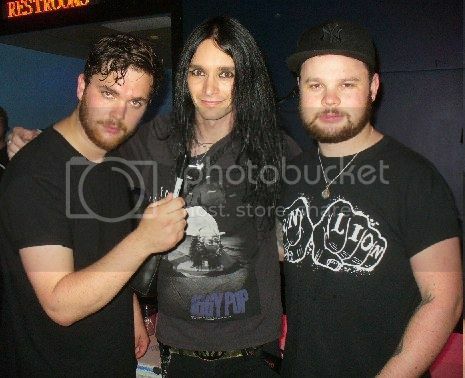 The band stopped by Baltimore Soundstage on July 19, 2014 in support of their debut US release which is a 4 song disc. “Out of the Blue” gained the band notoriety here in the states and this show consisted of the duo performing their entire EP alongside an extra song or 2 from their soon to be released full length record. Mike Kerr plays a traditional looking 4 string bass but he runs it through both a guitar & bass amp simultaneously. Tone wise Mike’s sound is really impressive and his vocals are the icing on the cake. Checking out the bands set up and stage gear I was definitely surprised to learn that they play totally live onstage with no samples or backing tracks being utilized during their performance! Ben anchors down the beats and keeps the tone chunky & heavy with his hard hitting drum style. I truly believe Ben is the secret weapon of the band because his playing style is the glue that holds the bands entire sound together when you see them live! Seeing Royal Blood live in an experience because the music they create onstage will move you and I’d say this was one of the best live performances I’ve seen thus far in 2014! Click here to see exclusive live performances from this show and to “Like” Rock N Roll Experience on Facebook!